The Chinese insurance sector has the potential to become a major driver of outbound investment. Chinese companies continue to be a force to be reckoned with in the global market for corporate control. Chinese acquirers completed cross-border deals with a total volume of $53 billion in 2014 and China’s outbound mergers and acquisitions (M&A) deal flow is likely to remain strong for the foreseeable future. However, the main drivers of the development of China’s outbound M&A over the past decade are likely to be supplemented by the growth of the Chinese insurance sector. Since the launch of the “Going Out” policy, China’s outbound M&A activities have been largely driven by five objectives. First, given China’s relatively limited domestic natural resource base, Chinese companies have been active acquirers of oil and gas and other natural resource companies worldwide. Second, Chinese companies have purchased know-how-intensive businesses in developed economies such as the United States and Europe to gain access to advanced technologies. Third, Chinese companies have acquired global brands to enhance their image, particularly in the Chinese domestic market. Fourth, Chinese companies have taken over foreign companies in order to shorten their time-to-market with regards to establishing a footprint in global markets. Lastly, China has increasingly taken equity stakes in foreign companies as part of its effort to diversify foreign currency holdings beyond government and institutional bonds. Low penetration rate: Despite the aforementioned rapid growth, by international standards China is still characterized by a relatively low insurance penetration rate. As recently as 2012, China’s aggregate gross premiums written to GDP (GPW/GDP) ratio that includes both the life and non-life insurance segments ranged around three percent. In comparison, in developed markets the GPW/GDP ratio typically ranges between six and 12 percent. Social welfare system reform: China’s government increasingly shifts responsibility for pension and medical care from a predominantly public to a mixed public-private system. This reform of the social welfare system and China’s demographic shift toward an aging population are likely to result in increased demand for insurance coverage. The increased demand for existing and new innovative insurance products is likely to generate significant growth opportunities for insurance companies. Product structure: China’s non-life insurance segment is characterized by an unusual product mix imbalance. About 70 percent of China’s non-life insurance premiums are derived from motor insurance. Other non-life products such as property or liability insurance are comparatively underdeveloped and offer significant business opportunities for insurance companies in China. In light of the aforementioned characteristics, China’s insurance sector is likely to maintain strong growth both in the life and non-life segment, even as growth rates of China’s economy at large are likely to decelerate over the next years. China is forecasted to become the second-largest insurance market globally within the next ten years. Continued growth of China’s insurance sector would likely result in significant balance sheet growth on the part of Chinese insurance companies and concomitant pressure to properly invest a growing asset base. However, China’s domestic market offers investment opportunities that are not necessarily compatible with returns and risk expectations typical for the insurance sector. For example, in the life insurance segment, insurance companies typically prefer to invest at least parts of their asset base in asset classes that promise adequate returns and stable cash flows consistent with customer guarantees made on life insurance products. 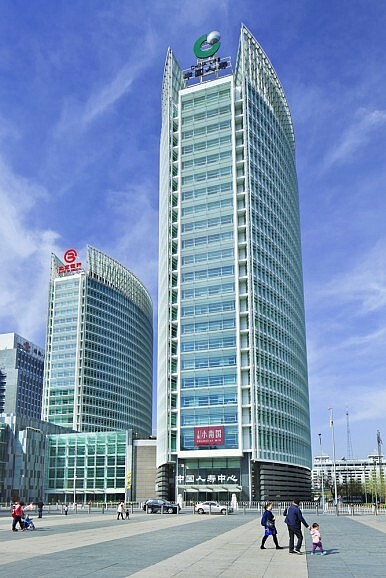 However, many investment opportunities in the domestic Chinese market such as real estate or publicly listed stocks are characterized by relatively high degrees of volatility rather than long-term stability. Recent rollercoaster ride-like ups-and-downs in China’s residential real estate and stock markets are a case in point. Against this backdrop, investments in foreign assets with relatively stable cash flows and adequate returns such as international residential or commercial real estate can be attractive and can be considered a logical component of a diversified investment portfolio. Hence volume growth in China’s insurance sector and the need to invest a growing asset base at decent return rates and reasonably low volatilities is likely to boost outbound investments by Chinese insurance companies and has the potential to make China’s growing insurance sector a major driver of China’s outbound M&A activities. Recent deals such as Anbang Insurance’s take-over of the iconic Waldorf Astoria Hotel in New York, China Life Insurance’s acquisition of a majority stake in a Canary Wharf tower in London, and Sunshine Insurance’s purchase of the Sheraton on the Park Hotel in Sydney are not necessarily vanity projects only and are harbingers of more to come. Marc Szepan is Senior Policy Fellow for China’s Political Economy at the Mercator Institute for China Studies, Berlin, Germany. He is also a doctoral candidate at Saïd Business School and a member of Green Templeton College, both University of Oxford. A New Model for China’s Outbound M&A Deals? Chinese state-owned enterprises and private equity firms form winning teams in acquiring foreign companies.